We are also featuring this month one of our most popular aromatherapy product applications, and one easily used on the go. If you have not already experienced one of our many aromatherapy inhalers, we urge you to try it for yourself. Often referred to as “personal inhalers” they simply make the perfect aromatherapy companion when on the go. 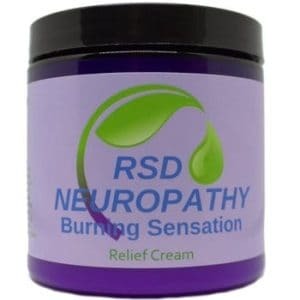 We’ve come a long way since we launched our very first product, namely our RSD Neuropathy Cream. Naturally, this was also a first step towards our goal to offer a complete line of quality Bath and Body Aromatherapy Products. The success of Natural Options comes down to the same commitment for quality for each and every product we offer. It’s an important part of the foundation our company was built on. Fast forward to today and our aromatherapy store and it’s range of product has gone from strength to strength. We now have an entire line of aromatherapy product and quality essential oils for our customers to explore. 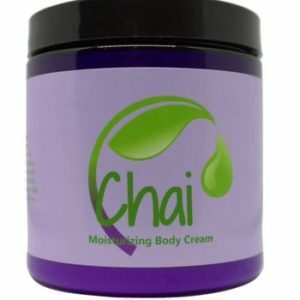 Make sure to check out our Chai Body Cream , Invigorating Foot Cream and Satin Skin Cream , as well as the RSD Neuropathy Cream that started everything off. You won’t be disappointed. Welcome to what we hope will become your number one source for excellent quality aromatherapy products, private label aromatherapy products, accredited aromatherapy certification, education, and seminars. Here at the Natural Options Aromatherapy Store, we aim to deliver the very best in quality and selection of essential oils and aromatherapy products found anywhere. We are so much more than an aromatherapy store. NOA also offers private label products, aromatherapy education and seminars, NAHA aromatherapy certification. Founded in 2003, NOA today continues to offer exceptional products to customers located across the globe. We have grown to offer so much more than most other aromatherapy stores. In addition to our aromatherapy store providing high-quality products, we also offer accredited aromatherapy education, certification seminars, and private label aromatherapy products. As a leading provider of quality essential oils, aromatherapy products, and aromatherapy certification and education, we help individuals and companies to get the products they need. We stock the most popular aromatherapy products as well as a few you have yet to sample. We simply want to be your first choice in an online aromatherapy store. We also welcome you to stop by our aromatherapy store at its physical location; 610 State Rte 97 W Bellville, Ohio 44813. Whether shopping at our physical store location or online, you will always find a selection of quality products that include bath salts, creams, organic creams, diffusers and diffuser blends, essential oils, massage products, mists, roll-ons, shower gel, skin care products, detox equipment and other components that are linked to aromatherapy. We don’t just stock loads of different products, we stock loads of high quality products. Natural Options Aromatherapy is also proud to be the preferred aromatherapy provider for a list of healthcare professionals that include, hospitals, nursing homes and other caregiving facilities. You will also find our aromatherapy product in many other finer retail outlets. Whether you are buying for yourself or in bulk, we offer budget-friendly pricing options, which also include exceptional deals on a whole host of products. Buying aromatherapy products in “bulk” can offer substantial savings and discount pricing. Learn more about buying bulk aromatherapy products and their available pricing options. For businesses that want to sell their own aromatherapy products, we also offer private labeling. Our private labeling service means you can add your custom brand onto any of our products and sell them at your business. Shipping is straightforward, too. It doesn’t matter where you’re from; we are able to ship to all of our customers in the 50 states for a flat fee. We simply go beyond offering our quality selection of aromatherapy products. Natural Options Aromatherapy is recognized by the National Association for Holistic Aromatherapy (N.A.H.A) as an accredited aromatherapy educator. As such, we provide Aromatherapy Level 1 and Level 2 Professional Certification classes. These courses are held in a number of different locations, so there is a good chance you will find one near you. If not, pack your bags and enjoy a mini vacation during which you will experience another part of the country, meet new friends and learn all about the healing powers of aromatherapy. We hope you will enjoy browsing our wide range of exceptional aromatherapy products that include essential oils, oil diffusers, bath salts and creams, as well as finding out more about our other services. Did you know that Natural Options Aromatherapy offers quality “private labeled” aromatherapy products? 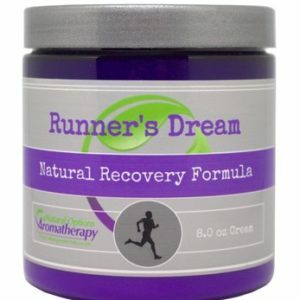 We help Skilled Nursing Facilities, nursing homes, hospitals, hospices, massage therapists, chiropractors, reflexologists, acupuncturists, wellness centers, retail store outlets, doctors, naturopaths, naprapaths, psychologists, psychiatrists, and others with the perfect aromatherapy product mix and all with your own custom branding. For more information about our private label aromatherapy products, including the entire selection of private label Essential Oils, Lavender Oil, Bath Salts, Creams, Aromatherapy Diffusers, Aromatherapy Certification, and more. Call us and let us help you to start your own product line and design your perfect label or add to your already existing brand. We hope you enjoy browsing the Natural Options Aromatherapy Store and our entire collection of quality aromatherapy products.